I get offered books to review fairly regularly and I make a point of only agreeing to books that cover something I want to know more about, or just sound plain fascinating. Death in the Garden by Michael Brown fell into both categories. I have not paid for this book but as ever, my words and opinions are my own. I can hear some gardening chums shrieking 'oh no not a book of horror stories of poisonous plants in the garden! This book is not that superficial, this is not what Michael is aiming to do, this book is more about plant stories. For example: many plants that are poisonous are used for medicinal reasons, one of the most common examples is foxglove (digitalis) which is very poisonous but also crucial to the treatment of some heart conditions. Michael tells us that in terms of toxicity, on a scale of 1 to 20 with 1 being the most poisonous; foxgloves come in at a 3. He goes on to say that the difference between a beneficial and a lethal dose is minute. Gardeners know this, we know its dangers yet it is commonly grown. Other plants with equal or less toxicity such as Monkshood (Aconitum) have a very bad reputation and I know people that will not grow them. Michael goes into some detail about the toxicity and bad reputation of Monkshood which makes very interesting reading. The book is beautifully illustrated with photographs showing us the beauty of these plants. What I like though that this is not a fright-fest of a book, but it is wonderfully macabre. 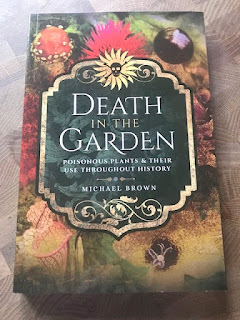 Read the chapter on basil if you want a fine example of this (no, basil is not poisonous - remember the title is not called poisonous plants but 'Death in the Garden'). I loved this book, it made me think, it made me laugh and it educated me at the same time. This is a great gift for the gardner in your life who wants to read something different for a change. Death in the Garden by Michael Brown is a White Owl imprint from Pen and Sword Books. 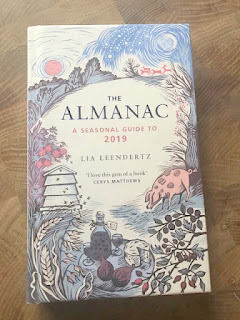 The second book I want to mention is The Almanac, a seasonal guide to 2019 by Lia Leendertz. Regular readers may recall I bought the 2018 version of this book and that I loved it and wrote at the time that I hoped that there would be another in 2019. Well wishes can be granted and low and behold the 2019 version is now on sale. I bought this copy, it is not a review copy and no one has asked me to write about it. I am writing about it because it is a book filled with joy and interesting information. I am writing about it because the illustrations are by Celia Hart and I love her work. As with last year, the book is a month by month account of the phases of the moon, of folklore and recipes and songs. But wait, I hear you say, why would you buy the same book again? Is it not repetitive from last year? There are obviously some factual repetitions of key dates in the year. Delightfully new dates are also added so even this is not a static list. The main content is different, new things to learn about the seasons ahead. The book cost me around £10 from that well known internet bookseller. Other almanacs are available and this one is branded 'the original and bestselling almanac'; and I am not going to argue, this one is the one of choice for me. The Almanac, a seasonal guide to 2019 is published by Michael Beazley . 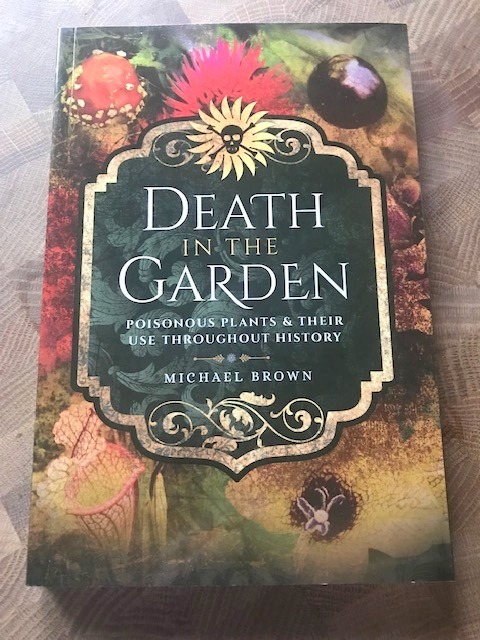 Michael Brown is our speaker at HPS Nottingham Group in April talking on his book - would be lovely to see you there if you can make it.